If you’re ready to get started, just email me at jules@julesphotography.co or call or text me at 404.828.0441. I’d love to meet for drinks so we can talk all about your wedding! I shoot anywhere from 20 to 30 weddings a year, as well as portrait session throughout the year. I also do a ton of second shooting with other photographers. As a result, I usually book out anywhere from six months to a year in advance. Yes, yes, and yes. Depending on where you need me, there may be some travel fees involved, but I absolutely adore traveling and would love to come to you. Reach out for a custom quote and we’ll see what we can make happen! After your wedding images have been completed, we start to plan your album. Once I get the final approval of the album design, it will take roughly three to five weeks for your album to be made and shipped to your address. I offer awesome 10×10 and 12×12 30-page albums that are absolutely gorgeous. I also have leather bound 8×8, 30-page parent albums. When we meet, I’ll be thrilled to show you them in person. Who retains the copyright to the images? I retain the copyright to my images, but I always provide my clients with a release to allow printing and online posting. How many images will I receive from my wedding day? 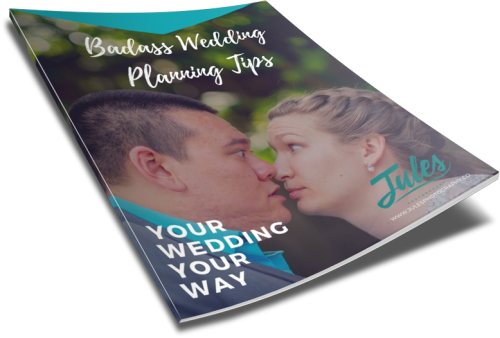 The number of images you receive will greatly depend upon your actual wedding day and how it unfolds. Generally speaking, I average 80 to 100 images an hour. An eight hour wedding day will yield roughly 800 images, and a six hour wedding day will yield roughly 600. Although your image count will depend on the flow of your day, I promise there will be plenty of amazing images to choose from. When will my wedding images be ready? I always do a sneak peek very soon after the wedding so I don’t leave you hanging, but the full editing process will take roughly four to six weeks. You’ll also get a snazzy blog post somewhere near the end of my editing process that will preview some additional images before I share the completed wedding day gallery with you. Do you have back-up equipment in case your camera malfunctions? I do. Over the years, I have acquired multiples of each piece of equipment, so if something happens, it’s as easy as grabbing a replacement out of my camera bag. Yes! 100% yes. Many venues won’t allow a photographer to shoot on the premises without liability insurance. Trust me, I’m covered! Will you be the actual photographer at my wedding if I hire you? Absolutely!!! Obviously assuming there are no acts of God or dire last minute medical emergencies you will absolutely, 100% have ME on your wedding day. If you hire Jules Photography, you get Jules! Who do you use as your Second Shooter? I think second shooters are absolutely essential for a wedding, so I always include at least one additional photographer in my plan for your day. I have a close circle of talented, professional photographer friends that I use for this purpose. I trust them and their work, and I will never, ever show up to a wedding with a photographer that I have not met before. Every package I offer starts with two things: a set number of hours of my time AND the coverage of a second shooter for the same amount of time. As much as I want to pretend that I’m a super hero, it’s physically impossible for me to be in two places at once or to get one shot from two angles simultaneously. I fully believe that every wedding should have a second shooter, so I’ve included it in every package. From there, my packages offer a range of products and services, such as albums and or an engagement session. I am happy to talk you through exactly what each of my packages includes or discuss how we can create a unique, custom, “untraditional” package for you. What is your main photography style? My shooting style is relaxed and creative, and I think that shows in my images. I try to make every session as fun as possible, because when my clients are having fun, it reflects in their photos.